This is a rather blatant scam. I’ve received more than enough complaints about worldbestroulettesystem.com to know beyond any reason this is a scam, and complaints have come from confirmed purchasers who have sent me payment receipt as proof of purchase. This is the kind of cooperation I need from purchasers who have been scammed, because I don’t have time to test every system. However, i can almost always tell you if a system is using the same losing principles, just repackaged a different way. The seller gives apparent proof of his online casino account withdrawals, which could easily be manipulated screenshots. But even if they are legitimate, you don’t see the deposit amount so how can we tell if he actually deposited the funds just for the withdrawal proof? 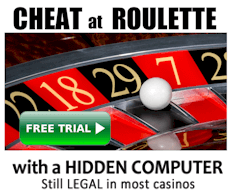 If a system seller says they can beat an online casino, I suggest be wary, or better yet just close the web site. The testimonials on the web site are rather unconvincing and likely faked. Every purchaser that has contacted me to complain experienced a complete lack of response when they took up the seller’s money-back guarantee offer. This is not uncommon and in such situations you need to contact the payment processor to obtain a refund. 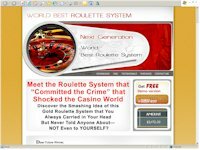 A truly experienced roulette player would know this system is a scam just from the seller’s web site and his claims. Lesser experienced players may be fooled by such losing systems when they’re told exactly what they want to hear. UPDATE (7th September 2007): Michael Davis has recently changed his web site. If you are scammed by someone, don’t accept it. Chase them down and report them. 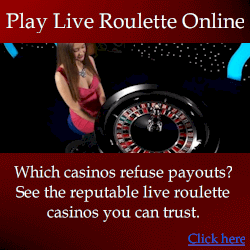 There are real ways to beat roulette, but this one sure isn’t one of them. VERDICT: A clever and well designed web site designed to lure inexperienced players. Every purchaser that complained to me about this system did not receive a response when they asked the seller for a refund. While this is a system I have not tested myself, when I receive multiple complaints from purchasers who send me their purchase receipt, the situation is quite clear.